United State tax officials are investigating Facebook Inc.'s transfer of assets to Ireland in 2010, saying the value of some assets may have been "understated by billions of dollars." The Internal Revenue Service filed a motion in U.S District Court in San Francisco on Wednesday to force Facebook to hand over records related to the transfer. According to the government filing, Facebook entered into agreements in September 2010 with Facebook Ireland Holdings Unlimited to transfer the rights to its "online platform" and its "marketing intangibles" outside the U.S. and Canada. It also entered into a cost-sharing agreement with the Irish subsidiary to cover future development. Facebook then hired the accounting firm Ernst and Young, now known as EY, to assign a value to the transfers. Such moves are common, particularly among technology firms, which shift assets around the globe with an eye toward reducing corporate taxes. Ireland's top corporate tax rate is 12.5%, much lower than the U.S. rate of 35%. In Facebook's case, corporate-tax experts said the company may have been trying to minimize the amount of income the parent company received from the Irish subsidiary, which would reduce Facebook's tax bill. "It is not uncommon to 'downplay' the value of such transferred property in order to reduce the amount of taxable income that has to be reported, " said Robert Willens, an independent tax expert. He said it's not unusual for the IRS to look into such arrangements, but the court filing suggests that "here, the I.R.S. is more serious about it than in most other cases." Such situations are complicated "especially when it's a transfer of intellectual property that you would never sell to a third party," said Michael J. Graetz, a tax professor at Columbia Law School. "There's no comparable market price." The government said the IRS went to court because Facebook has not responded to its recent requests and the statute of limitations on its probe expires July 31. Facebook had been ordered to produce the records in a San Jose, Calif., court on June 17, but "failed to appear" and didn't produce the information requested, according to the filing. The investigation began in 2013. It nominally covers the 2010 tax year, though if the assets were undervalued, that could affect Facebook's tax liability in other years as well. Among other things, the IRS is seeking documents regarding the company's budget goals and why it made Dublin its international headquarters. The IRS's initial investigation in 2013 and 2014 suggested that EY's methodology for valuing the assets was "problematic," according to a declaration filed in court. It shared that information with Facebook in April 2015. 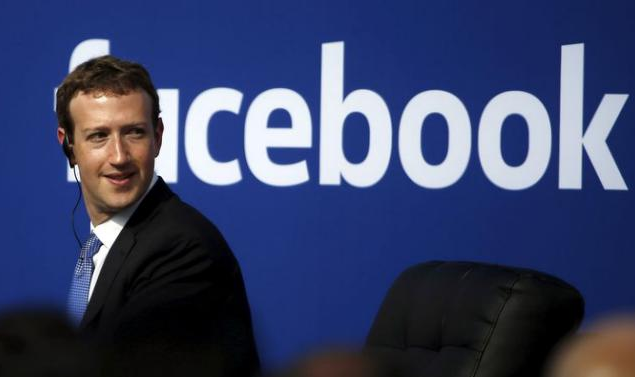 "Facebook complies with all applicable rules and regulations in the countries where we operate," a Facebook spokeswoman said. EY said Thursday it "does not have any additional remarks at this time."